"Fulbright" and "Fullbright" redirect here. For the senator, see J. William Fulbright. For the indie video game developer, see Fullbright (company). The Fulbright Program, including the Fulbright–Hays Program, is one of several United States Cultural Exchange Programs whose goal is to improve intercultural relations, cultural diplomacy, and intercultural competence between the people of the United States and other countries through the exchange of persons, knowledge, and skills. It is one of the most prestigious and competitive fellowship programs in the world. Via the program, competitively-selected American citizens including students, scholars, teachers, professionals, scientists and artists may receive scholarships or grants to study, conduct research, teach, or exercise their talents abroad; and citizens of other countries may qualify to do the same in the United States of America. The program was founded by United States Senator J. William Fulbright in 1946 and is considered to be one of the most widely recognized and prestigious scholarships in the world. The program provides 8,000 grants annually. The Fulbright Program is administered by cooperating organizations such as the Institute of International Education and operates in over 160 countries around the world. The Bureau of Educational and Cultural Affairs of the U.S. Department of State sponsors the Fulbright Program and receives funding from the United States Congress via annual appropriation bills. The current funding of the program is $240 million per year; however, President Donald Trump has proposed a 71% cut to its funding in 2018. Additional direct and in-kind support comes from partner governments, foundations, corporations, and host institutions both in and outside the U.S. In 49 countries, a bi-national Fulbright Commission administers and oversees the Fulbright Program. In countries without a Fulbright Commission but that have an active program, the Public Affairs Section of the U.S. Embassy oversees the Fulbright Program. More than 370,000 people have participated in the program since it began; 59 Fulbright alumni have won Nobel Prizes; 82 have won Pulitzer Prizes. The Fulbright Program aims to bring a little more knowledge, a little more reason, and a little more compassion into world affairs and thereby increase the chance that nations will learn at last to live in peace and friendship. 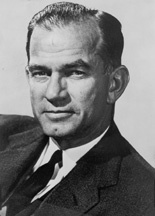 In 1945, Senator J. William Fulbright proposed a bill to use the proceeds from selling surplus U.S. government war property to fund international exchange between the U.S. and other countries. With the crucial timing of the aftermath of the Second War and with the pressing establishment of the United Nations, the Fulbright Program was an attempt to promote peace and understanding through educational exchange. The bill devised a plan to forgo the debts foreign countries amassed during the war and in return for funding an international educational program. It was through the belief that this program would be an essential vehicle to promote peace and mutual understanding between individuals, institutions and future leaders wherever they may be. If we do not want to die together in war, we must learn to live together in peace. On August 1, 1946, President Harry S. Truman signed the bill into law, and Congress created the Fulbright Program in what became the largest education exchange program in history. Since it began, the program has operated on a bi-national basis; each country active in the Fulbright Program has entered into an agreement with the U.S. government. The first countries to sign agreements were China in 1947 and Burma, the Philippines, and Greece in 1948. Educational exchange can turn nations into people, contributing as no other form of communication can to the humanizing of international relations. The Fulbright Program works two ways: U.S. citizens may receive funding to go to a foreign country (U.S. Student Program, U.S. Scholar Program, Teacher Exchange Program, etc.) and non-U.S. citizens may come to the U.S. (Foreign Student Program, Visiting Scholar Program, Teacher Exchange Program, etc.). Candidates recommended for Fulbright grants have high academic achievement, a compelling project proposal or statement of purpose, demonstrated leadership potential, and flexibility and adaptability to interact successfully with the host community abroad. The Fulbright U.S. Student Program offers fellowships for U.S. graduating seniors, graduate students, young professionals and artists to research, study, or teach English abroad for one academic year. The International Fulbright Science and Technology Award, a component of the Fulbright Foreign Student Program, supports doctoral study at leading U.S. institutions in science, technology, engineering or related fields for outstanding foreign students. This program is currently on hiatus. The Fulbright-mtvU Fellowships award up to four U.S. students the opportunity to study the power of music as a cultural force abroad. Fellows conduct research for one academic year on projects of their own design about a chosen musical aspect. They share their experiences during their Fulbright year via video reports, blogs and podcasts. The Fulbright-Clinton Fellowship provides the opportunity for U.S. students to serve in professional placements in foreign government ministries or institutions to gain hands-on public sector experience in participating foreign countries. The Fulbright Distinguished Chair Awards comprise approximately forty distinguished lecturing, distinguished research and distinguished lecturing/research awards ranging from three to 12 months. Fulbright Distinguished Chair Awards are viewed as among the most prestigious appointments in the U.S. Fulbright Scholar Program. Candidates should be eminent scholars and have a significant publication and teaching record. The Fulbright Bicentennial Chair in American Studies at the University of Helsinki brings scholars of various disciplines to Finland. The Fulbright U.S. Scholar Program sends American faculty members, scholars and professionals abroad to lecture or conduct research for up to a year. The Fulbright Specialist Program sends U.S. academics and professionals to serve as expert consultants on curriculum, faculty development, institutional planning, and related subjects at overseas institutions for a period of two to six weeks. The Fulbright Visiting Scholar Program and Fulbright Scholar-in-Residence Program bring foreign scholars to lecture or conduct post-doctoral research for up to a year at U.S. colleges and universities. The Fulbright Regional Network for Applied Research (NEXUS) Program is a network of junior scholars, professionals and mid-career applied researchers from the United States, Brazil, Canada, and other Western Hemisphere nations in a year-long program that includes multi-disciplinary, team-based research, a series of three seminar meetings, and a Fulbright exchange experience. The Fulbright Teacher Exchange Program supports one-to-one exchanges of teachers from K–12 schools and a small number of post-secondary institutions. The Fulbright U.S. Scholar Program sends American scholars and professionals abroad to lecture or conduct research for up to a year. The Fulbright Specialist Program sends U.S. faculty and professionals to serve as expert consultants on curriculum, faculty development, institutional planning, and related subjects at overseas academic institutions for a period of two to six weeks. A portion of the Fulbright Program is a Congressional appropriation to the United States Department of Education for the Fulbright–Hays Program. These grants are awarded to individual U.S. K through 14 pre-teachers, teachers and administrators, pre-doctoral students and post-doctoral faculty, as well as to U.S. institutions and organizations. Funding supports research and training efforts overseas, which focus on non-western foreign languages and area studies. The program is coordinated by the Bureau of Educational and Cultural Affairs (ECA) of the U.S. Department of State under policy guidelines established by the Fulbright Foreign Scholarship Board (FSB), with the help of 50 bi-national Fulbright commissions, U.S. embassies, and cooperating organizations in the U.S. The United States Department of State is responsible for managing, coordinating and overseeing the Fulbright program. Bureau of Educational and Cultural Affairs is the bureau in the Department of State that has primary responsibility for the administration of the program. The Fulbright Foreign Scholarship Board is a twelve-member board of educational and public leaders appointed by the President of the United States that determines general policy and direction for the Fulbright Program and approves all candidates nominated for Fulbright Scholarships. Bi-national Fulbright commissions and foundations, most of which are funded jointly by the U.S. and partner governments, develop priorities for the program, including the numbers and categories of grants. More specifically, they plan and implement educational exchanges, recruit and nominate candidates for fellowships; designate qualified local educational institutions to host Fulbrighters; fundraise; engage alumni; support incoming U.S. Fulbrighters; and, in many countries, operate an information service for the public on educational opportunities in the United States. In a country active in the program without a Fulbright commission, the Public Affairs Section of the U.S. Embassy administers the Fulbright Program, including recruiting and nominating candidates for grants to the U.S., overseeing U.S. Fulbrighters on their grant in the country, and engaging alumni. Established in 1919 in the aftermath of World War I, the Institute of International Education was created to catalyze educational exchange. In 1946, the U.S. Department of State invited IIE to administer the graduate student component and CIES to administer the faculty component of the Fulbright Program—IIE's largest program to date. The Council for International Exchange of Scholars is a division of IIE that administers the Fulbright Scholar Program. AMIDEAST administers Fulbright Foreign Student grants for grantees from the Middle East and North Africa (except Israel). LASPAU: Affiliated with Harvard University LASPAU brings together a valuable network of individuals, institutions, leaders and organizations devoted to building knowledge-based societies across the Americas. Among other functions, LASPAU administers the Junior Faculty Development Program, a part of the Fulbright Foreign Student Program, for grantees from Central and South America and the Caribbean. World Learning administers the Fulbright Specialist Program. American Councils for International Education (ACTR/ACCELS) administers the Junior Faculty Development Program (JFDP), a special academic exchange for grantees from the Caucasus, Central Asia, and Southeast Europe. The Academy for Educational Development administers the Fulbright Classroom Teacher Exchange Program and the Distinguished Fulbright Awards in Teaching Program. The Fulbright Association is an organization independent of the Fulbright Program and not associated with the U.S. Department of State. The Fulbright Association was established on Feb. 27, 1977, as a private nonprofit, membership organization with over 9,000 members. The late Arthur Power Dudden was its founding president. He wanted alumni to educate members of the U.S. Congress and the public about the benefits of advancing increased mutual understanding between the people of the United States and those of other countries. In addition to the Fulbright Association in the U.S., independent Fulbright Alumni associations exist in over 75 countries around the world. The Fulbright Academy is an organization independent of the Fulbright Program and not associated with the U.S. Department of State. A non-partisan, non-profit organization with members worldwide, the Fulbright Academy focuses on the professional advancement and collaboration needs among the 100,000+ Fulbright alumni in science, technology and related fields. The Fulbright Academy works with individual and institutional members, Fulbright alumni associations and other organizations interested in leveraging the unique knowledge and skills of Fulbright alumni. Dale Chihuly, glass sculptor and entrepreneur. The J. William Fulbright Prize for International Understanding, established in 1993, is awarded by the Fulbright Association to recognize individuals or organisations which have made extraordinary contributions toward bringing peoples, cultures, or nations to greater understanding of others. The recipients are listed below. ^ "Get Noticed Through Prestigious Scholarships". U.S. News & World Report. November 25, 2011. ^ "Fulbright Scholar Program: About Us". Comparative and International Education Society. ^ "IIE Programs". Institute of International Education. ^ "Stand For Fulbright". Fulbright Association. ^ a b "Fulbright Program Fact Sheet" (PDF). U.S. Department of State. ^ a b c d e "Notable Fulbrighters". U.S. Department of State. ^ Morello, Carol (June 8, 2017). "That knock on a congressman's door could be a Fulbright scholar with a tin cup". The Washington Post. ^ "J. William Fulbright Quotes". Bureau of Educational and Cultural Affairs. ^ a b "Fulbright: The Early Years". U.S. Department of State. ^ "Harry S. Truman: Address to the United Nations Conference in San Francisco". The American Presidency Project. April 25, 1945. ^ "Bureau of Educational and Cultural Affairs: About Fulbright". U.S. Bureau of Educational and Cultural Affairs. ^ "Fields of Study/Project Topics". U.S. Department of State. ^ a b c d "Which Grant Is Right For Me? – Fulbright – International Educational Exchange Program". eca.state.gov. 2008-01-31. Retrieved 2012-06-11. ^ "Archived: International Education Programs Service – Fulbright–Hays Programs: The World is Our Classroom". ed.gov. Retrieved 2012-06-11. ^ "Fulbright Commissions". U.S. Department of State. ^ "History | Who We Are | Institute of International Education". Iie.org. Retrieved 2012-06-11. ^ Piccinnini, Douglas (2009). "Ashbery in Paris: Out of School". Jacket 2. Retrieved 8 October 2015. ^ "Featured Fulbrighter – Kyle Carey". Fulbright Canada. ^ Adams, Vanessa (August 29, 2017). "Announcing our Inaugural Conference Keynote - Professor the Hon Bob Carr". Fulbright Australia. ^ "Traps by Lenora Champagne". Old Stone House. ^ "CHIALVO NAMED FELLOW OF THE AMERICAN PHYSICAL SOCIETY". Northwestern University. ^ Lewis, Jo Ann (February 23, 1996). "GLASS THAT'LL BOWL YOU OVER". The Washington Post. ^ "2006 Fellowship Recipients". University of Southern California. ^ "'New' alumnus wins prestigious Fulbright postgraduate award". New College, University of New South Wales. New College, University of New South Wales. Retrieved 28 October 2012. ^ Bayfield, Tony. "Greengross [married name Katz, later Kates], Wendy Elsa (1925–2012)". ONDB. OUP. Retrieved 26 November 2017. ^ Klotz, Suzanne. "Fulbright Scholar". Fulbright Scholar Program. Retrieved 18 March 2016. ^ Juntin Wintle, Makers of modern culture, Routledge 2002. ^ a b "Fulbrighters & Pulitzer Prize Winners". U.S. Department of State. ^ Gray, Jeffrey (2005). Mastery's End: Travel and Postwar American Poetry. Athens, GA: UGA Press. p. 145. Retrieved 12 October 2015. This page was last edited on 18 April 2019, at 19:30 (UTC).